For as often as his name came up during the campaign, it was pretty much a done deal that he'd end up somewhere in the administration. President-elect Donald Trump has reportedly tapped businessman Carl Icahn to serve as a special adviser, focusing in particular on regulatory policy. It's an announcement that's generating a fair amount of consternation and controversy among advocates of robust, strong regulatory policy, as well as questions from people who haven't heard of him before. 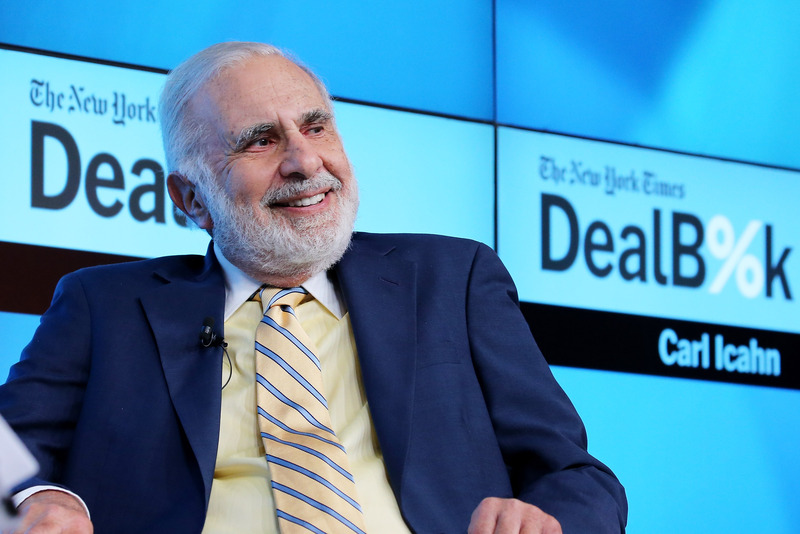 So who is Carl Icahn, the 80-year-old "corporate raider" who'll be joining the Trump team? If you're curious who he is in relation to Trump, the pair are joined at the hip in their respective business histories. Icahn owns a controlling stake in the Trump Taj Mahal casino in Atlantic City, New Jersey, which was shuttered earlier this year after years of struggle. Icahn effectively swooped in and saved Trump from a badly failing endeavor, and by most metrics, he's proven to be a far superior businessman to the president-elect. According to the Washington Post, his net worth clocks in at about $20 billion, vastly more money than Trump has ever claimed to have. But the incoming president has been entirely open about wanting Icahn in his administration. For a time, Icahn was one of the few specific names that Trump would float on the campaign trail, suggesting in particular that he might put him in charge of dealing with China. I am proud to serve President-elect Trump as a special advisor on regulatory reform. Under President Obama, America’s business owners have been crippled by over $1 trillion in new regulations and over 750 billion hours dealing with paperwork. It’s time to break free of excessive regulation and let our entrepreneurs do what they do best: create jobs and support communities. President-elect Trump is serious about helping American families, and regulatory reform will be a critical component of making America work again. In simple terms, from a progressive economic and regulatory perspective, this is the threat of electing a real estate magnate who primarily values moneymaking and his business connections to the presidency. While there might not yet be any way to state conclusively how Trump's presidency will go, and what the state of American business will look like by the time he's done, it hasn't gone unnoticed that he keeps appointing people to positions who're openly hostile to the core tenets of their jobs ― like climate change denier Scott Pruitt to head the EPA, or Rick Perry to head the Department of Energy (which he wanted to abolish during his 2012 presidential run). Suffice to say, if you care about government being able to reign in the excesses of big business, this is shaping up to be a rough stretch.